Cisco has unveiled plans to scrap the Spark brand globally, axing the collaboration platform name just over six months after settling a trademark dispute in New Zealand. The tech giant will instead merge the Spark and Webex offerings into a single suite under the name of Webex, rebranding a solution that has been the root cause of local channel change. As revealed by Reseller News, Telegistics Repair, a Spark owned business, was appointed as a distributor for Cisco in New Zealand in September 2017. According to sources close to Reseller News, the vendor changed its channel strategy after a trademark issue erupted over the tech giant’s collaboration tool - Cisco Spark – which clashed with Spark’s own brand. At the time of publication, Reseller News understood that this move was designed to achieve two key functions - firstly, to provide trademark clarity around the Cisco Spark product in New Zealand and, secondly, to allow partners to sell the solution without having to use the name of industry competitor in Spark. Fast forward six months and this situation appears to have changed. As reported earlier this week by sister publication, NetworkWorld, Webex Teams combines collaboration features in Cisco Spark and WebEx such as white-boarding, persistent messaging, roster, meeting controls and content sharing. Under the heading of ‘Spark Meetings are dead. Long live Webex meetings’, Rosenberg said the combined offering now includes new applications across Webex Meetings and Webex Teams - formerly known as Cisco Spark - as well as a new Webex Assistant and Webex Share hardware device. “Prior to this convergence, we had Cisco Spark with its own type of meeting – the Spark meeting, but we still had Webex with its own Webex meetings,” Rosenberg explained. “Users could join Cisco Spark meetings only from the Cisco Spark app, and Webex meetings from the Webex app. Users could join Webex meetings from Cisco Spark if they were clever, but they did not get any of the critical meetings features. The news has been welcomed by channel partners in New Zealand, partners competing directly with Spark, and therefore uneasy about buying or selling a product from a competitor under the same name. At this stage however, it remains to be seen how the rebrand will impact the current agreement in place with Spark New Zealand and Telegistics. 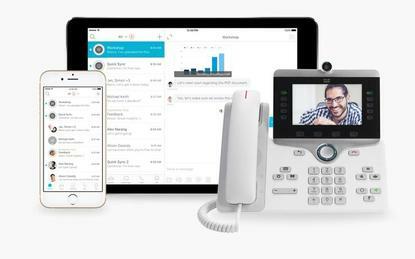 “As you can see, the convergence of Cisco Spark and Webex is not just skin deep – it goes to the platform level and brings an amazing set of benefits to our customers,” Rosenberg added.